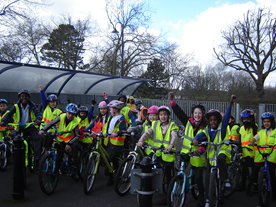 23 children from KS2 cycled 4 km around the Recreation Park for the Big Pedal Challenge. 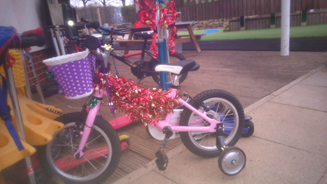 This was to raise money for Sustrans, a charity which is developing a network of safe cycling routes in the UK. 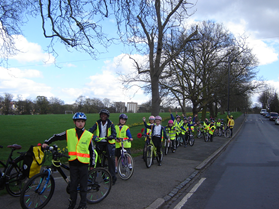 Check out the Big Pedal website to see how many are riding and scooting to school. 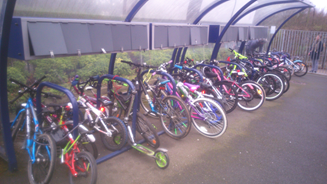 It was a damp morning, but 138 children cycled or scooted to school for the beginning of,'The Big Pedal'.